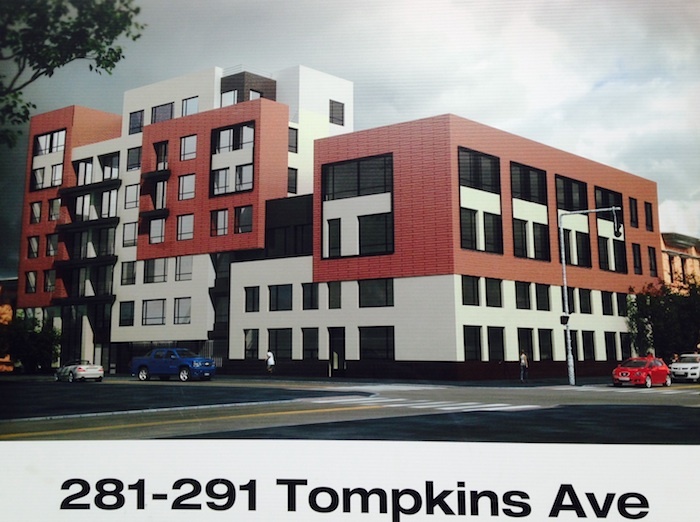 Check out what’s coming for 281-291 Tompkins Avenue, on the corner of Lexington. 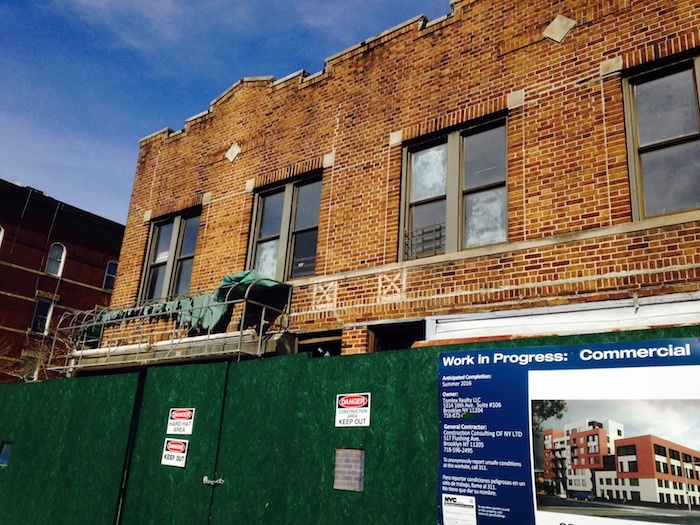 Permits indicate that the developer won’t demolish the existing brick building (which previously housed commercial tenants) — it will actually be expanded. And while permits also say the final product will contain 31 apartment units, the development looks like it could hold much more than that. The design looks like something that belongs in Williamsburg, don’t you think? My guess is that the Community Board wouldn’t love it. The architect of record is Nataliya Donskoy, who isn’t always known for exceptional building design. A sign on the construction fence says construction will last until the summer of 2016. The developer is Brooklyn-based firm The Iconic Group. ← Feast Bed Stuy is Happening Tonight!